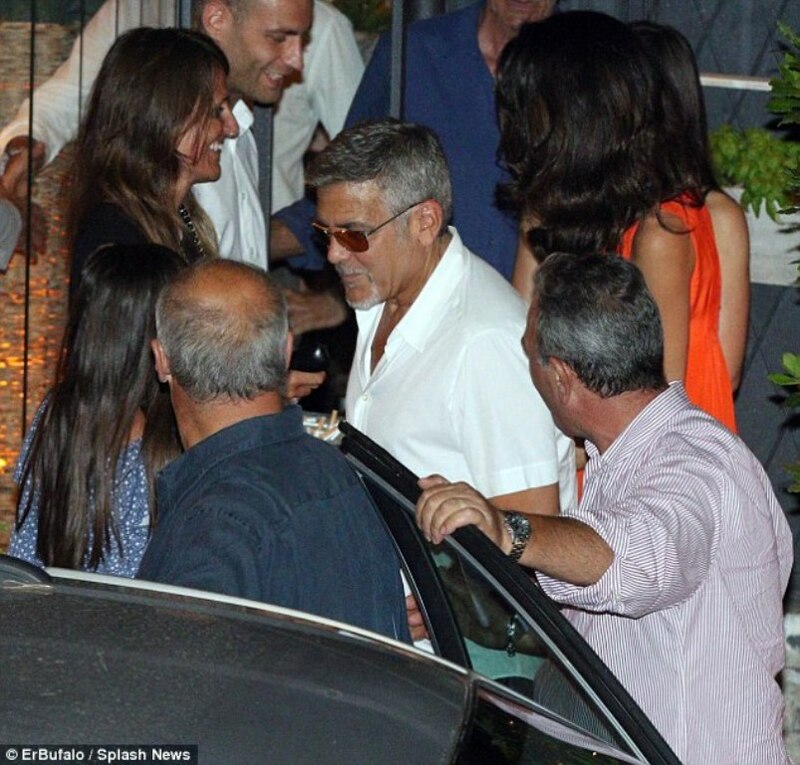 Amal Clooney was spotted heading to dinner with George in Lake Como on Sunday evening. She wore a colorful tangerine dress with her Dolce & Gabbana earrings. Currently I don’t have an ID for the dress. I love the color of this dress and it was perfect with her shiny hair and summer tan. 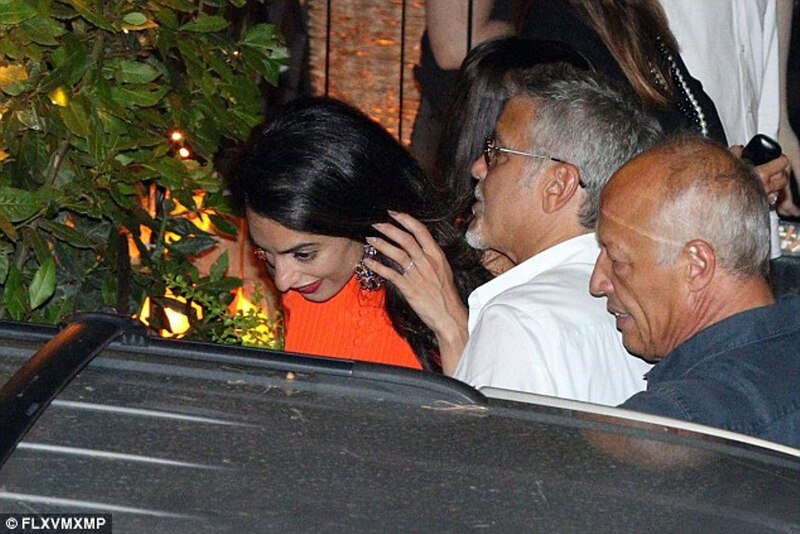 Amal’s tangerine dress is by Monse Maison. I love that colour on her. I absolutely love this dress. 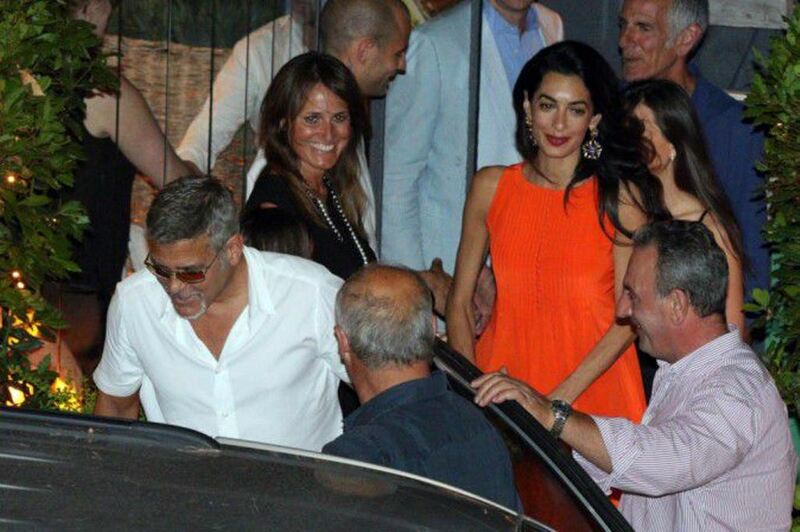 Orange is a fantastic color for Amal. She looks beautiful on her summer evening out with her gorgeous husband. 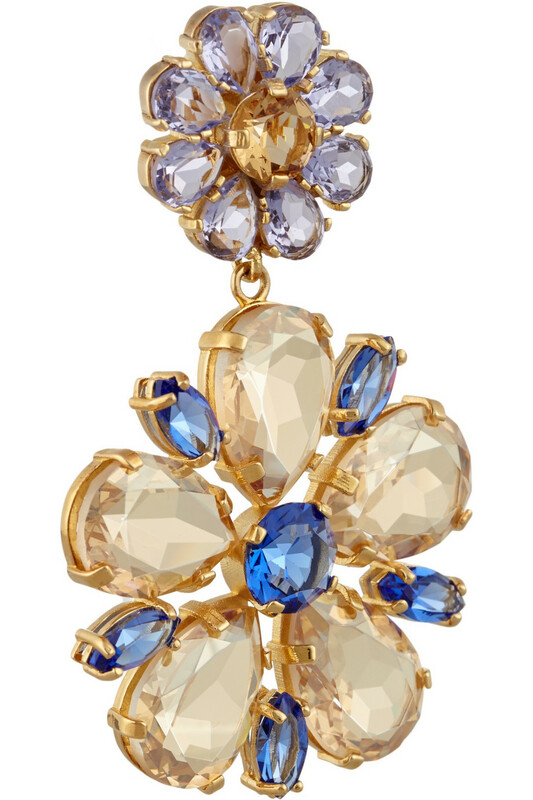 The earrings, which we have seen before, are stunning! I agree Nati- bright vibrant colors look great on Amal. This tangerine hue is gorgeous for her! Is this a serious Information? It’s Oscar night! This time last year many wondered out loud “Where is the ‘King of Hollywood’, George Clooney for Hollywood’s big night?” After all, Gravity was nominated for many awards. As we found out a few weeks later, as the narrative read, he was off on a tour of the Middle East winning over then girlfriend Amal Alamuddin’s family on an extravagant yacht before heading off with the “love of his life” to a fancy African safari. Couple of weeks later… BAM! The eternal bachelor had “met his match” and was going to “marry up” to the “greatest human rights attorney to ever grace the planet.” Those of us who have paid attention to Clooney’s anti-American films and anti-American/pro-global elite politics throughout his career immediately smelled a rat. As this woman was never vetted (which is painfully true of any global elitists infiltrating the democrat party of American politics), anyone who questioned her ties to those whom America used to list as terrorists or terrorist organizations was and still is, of course, racist. Now that we have had a year of this woman in the entertainment spotlight, we have found that her resume was painfully padded as she had never led nor has she yet to win a case on which she is working, most of which involve her defending human rights violators, not defending human rights. In addition, she never seems to work. She has been on as many lavish holidays since her wedding in September as the Obamas. Her “career” fits the narrative well for that, though, because if the Clooneys are apart for too long, it is because she is the “greatest human rights attorney of all time” and must be in London or wherever to work. If it is ever pointed out that she never seems to be at work then she can magically telecommute. In any event, the point of this piece is neither to make assumptions nor to point out what should be glaringly obvious. 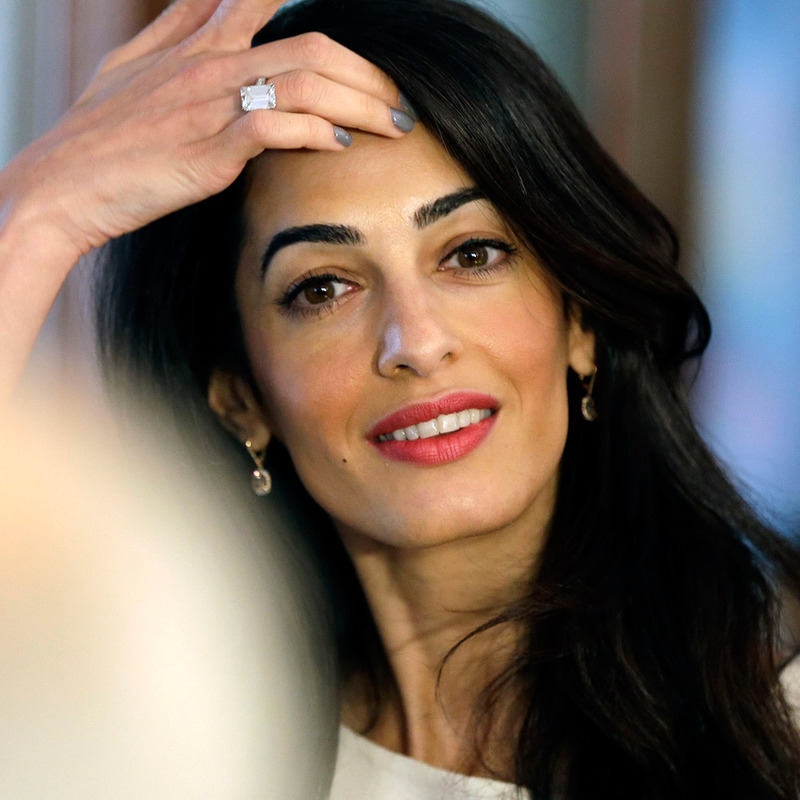 It is to make note of some of the cast of characters who make up Amal’s life both professionally and personally, only to find that many times it overlaps and many of them work against American interests. The media will not do it, and it is very hard to find as most of her bio has been scrubbed from the internet. Type her into any search engine. Almost every bio starts with “Left war torn Lebanon at the age of 2 (sometimes 4) for the UK”… “Parents are in respected professions of journalism and education”…. “law school, clerked for Sotomayor, hit up the UN” and then CLOONEY. No other boyfriends… at 36 YEARS OLD. No friends. I could not even find the name of the mother for her two half-brothers. Every single one reads EXACTLY. THE. SAME. I have stated since the beginning and stand firm on the platform that this arranged marriage will be used to soften the image of radical Muslim extremism in America to put the global elite agenda through pop culture while denigrating the core values which made America great. See how the admin is catering to Hamas, Iran, and all of what we once considered our enemies? See how it denigrates “Republicans” (which means, after November, any American regardless of former political affiliation) and Israel? I realize now how crazy that sounded a year ago. Not so much anymore. He was an alleged middleman in the Karachi affair, a series of kickbacks connected to submarine contracts between France and Pakistan. The contracts allegedly financed the 1995 presidential campaign of former prime minister Édouard Balladur. Sarkozy was budget minister and Balladur’s spokesman at the time of the Karachi affair, and was investigated for his role in the affair. Arfi described Takieddine as a businessman leaving behind numerous traces of unofficial dealings between France and Libya. According to Mediapart, members of the Chirac administration — including Sarkozy’s team — helped Takieddine “win contracts with the Libyan regime,” then under the control of Qaddafi. Speaking of greedy, this guy is loaded but the British taxpayer is footing his defense bill. Oh… who is representing him, by the way? Amal Clooney. Then there is Gaddafi’s sidekick, Abdullah Senussi. According to The Guardian newspaper, “Senussi had a reputation for brutality since the 1970s. During the 1980s he was head of internal security in Libya, at a time when many opponents of Gaddafi were killed.” There is no doubt that he was part of Gaddafi’s regime, and accused of human rights violations and terror. The 62-year-old’s past history includes a suspected involvement in the Abu Selim prison massacre. And in the Telegraph, “Most notorious for Libyans is the allegation that he gave the order for the massacre of 1,200 political inmates in Abu Salim prison in 1996. His notoriety has spread to Europe. For Britain, he will long be remembered for his involvement in the 1988 Lockerbie bombing in which 270 people were killed. The French will remember him for his role in masterminding the bombing of a French airliner over Niger in 1989 in which 170 people were killed. That led to a 1999 case in which he was convicted in absentia in France. He has been unable to travel abroad freely since then. His council says this conviction is a violation of his human rights and has asked for a trial in the Hague.” Guess who is on that case? Amal Clooney. This website is a campaign against Amal and George. Nati, why did you publish it? There is no conspiracy against the Clooneys, Nati3873. This website ‘red nation rising’ may not be the most polite one around, but they are merely stating facts and collecting data. Information that also can be found elsewhere in the internet. Amal’s family certainly has some members with rather shady backgrounds, her own CV certainly is exaggerated as even posters in this blog have stated previously. It is a fact that so far she has never succeeded in winning any of the cases she worked on and that some of her paying clients for sure are not saints :-/. Nati – I enjoy this site, but am curious why you posted this misaligned diatribe about Amal and George. It doesn’t fit with the theme of your site. What has this political info to do with Amal’s fashion style (= subect of this blog)? Oh come on, are you reading that crap? 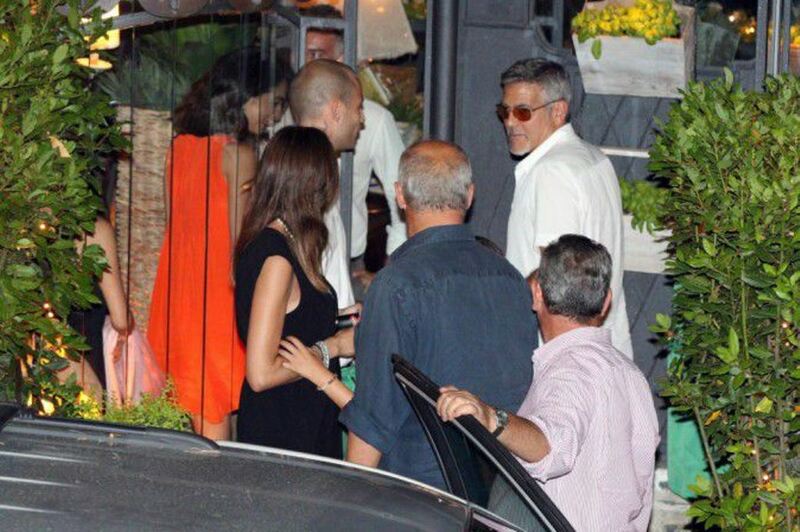 I dont understand is why they targeting Amal and George, since there are real targets they should be focusing on. Ibncredible the amount of free time these haters have! The worse is that if you take any celebrity you find the same type of haters and their crazy conspiracy theories, try Tom Cruz, you will be amazed the stories they come up for celebrities. What a bunch of looneys with so much free time!! This is way to long to read on a fashion blog. I will remove it …. She looks gorgeous!!! The orange is a fun summer color and she pulls it off beautifully with her olive toned skin. 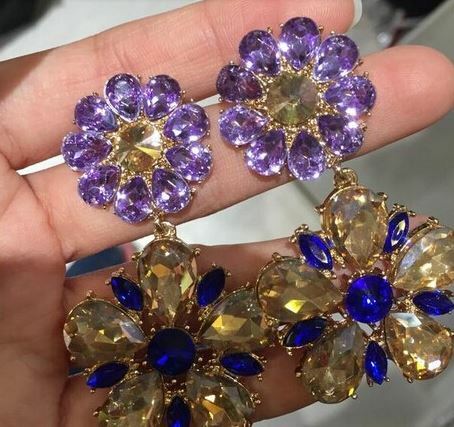 The earrings with purple and yellow are a nice contrast! 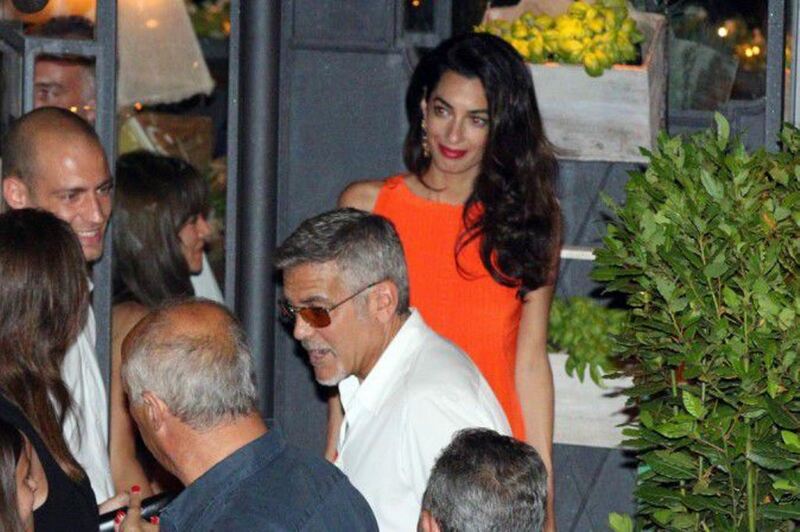 Amal has always looked great in orangey shades. Now that she has a bit of a tan, too, she looks even better! I love seeing her wear these earrings again. I have these same earrings and never dreamed they would look great with a tangerine colored dress! This is why we love Amal because she always thinks outside of convention. Wow I love the dress! Nati, do you have an ID on the shoes that Amal wore on the 4th of July? I found similar styles but not a perfect match. Love this color and dress on her. Very pretty. Wow did u see tala her sis at Wimbledon her dress is amazing !!! What match were they at? Serena’s on Saturday? (Pippa, Tala). The dress is from a new line called monse maison…website isn’t live yet but you can check them out on Instagram…monsemaison! Thank you ! I will update my post. Is this brand connected to Oscar de la Renta ? Sarah Jessica Parker was also in Monse spotted lately. The designer began his career at ODLR and is just launching is own line. So glad I could help! 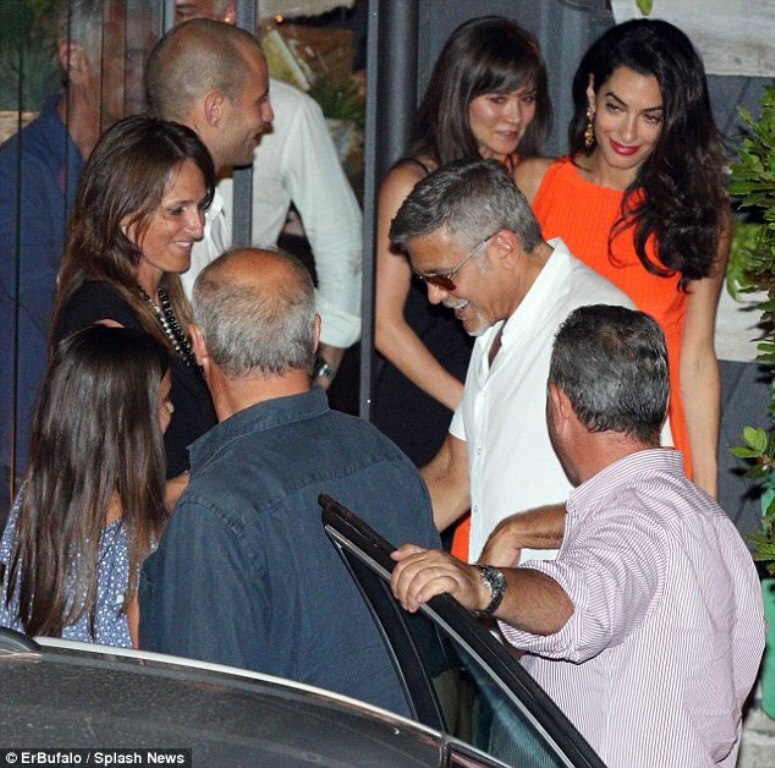 Amal looks great in clothes with distinct colors – they go hand in hand with her dark hair and summer tan. I think that current photos show that her style is getting more and more deliberate and very well-planned. She is conscious of what suits her (or no) and she knows what may look good on her. In my opinion, Amal became a kind of ‘perfectionist’ and can mix up her professional obligations as well as her style. When she can find so much time to ALWAYS look so stylish and impeccable and keep up with her career. She looks like she has so much time and energy to ’embrace’ all duties.. I really admire this. Nati, I hope that this question doesn’t affect you by no means – is is true that Amal and George Clooney are going to sell their houses in Italy as well as in the Mexico? They were spotted in Italy last week and I wonder – are they going to focus on their house in England? Thank you Ewa for you comment 🙂 About the Villa Oleandra, this beautiful house is already to rent. I am not sure if George will accept the 100 mios dollars offer. This house is part of him. We will see. and a compliment to the answer on the Mexico house: Rande and geroge had similar homes in Mexico, side by side, but i guess they fast realized that it is waste of money to keep tow massivevely big and similar homes when they go there on vacation, maybe twice a year! They end up hanging out together so i read George is selling his and will take some time-sharing on the other one with Rande family. These are two smart business men, i am sure they are smart about profiting on this sale! Smart move to give it value then sale it. if he can get 100 million for Oleandra, he should sale it, if indeed he paid only 13 million as the tabloids say. That is a heck of a great profit!!! These people do do real state like most people, they do real state business! !